Peter ‘Robocop’ Weller vs. home invading rodents. 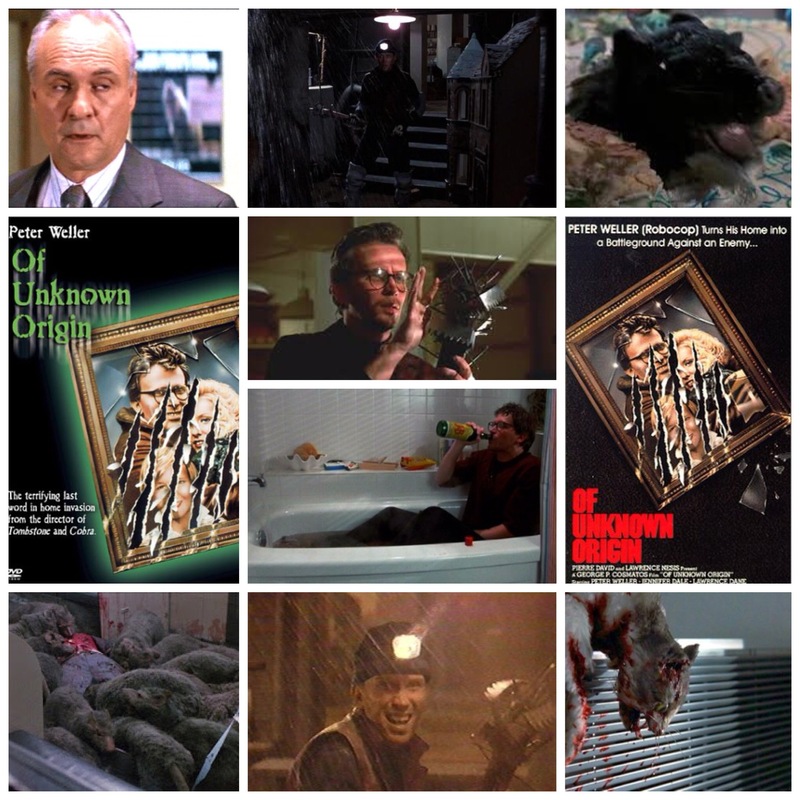 That’s pretty much the premise behind George P. Cosmatos’s Of Unknown Origin, a warped little TV movie that takes on battling rats as a central plot-line, with a straight face no less. Usually this type of thing would be a campy SyFy original with screensaver special effects and the tonal towel already half thrown in. This one goes for full realism though, or at least tries, and it’s an odd mixture. Weller plays a mild mannered businessman who just gets so irked by those pesky vermin, enough so that he saddles up in all kinds of elaborate gear that would make Christopher Walken in MouseHunt jealous, and trawls the hallways and ducts of his townhome like a looney head, trying to kill the little bastards. There’s a vague satire angle in terms of his job, office politics and whatnot, which is one more thing you wouldn’t really find in this type of flick, if it were garden variety, but this one avidly shirks the standards. The rats are treated not as spooky monsters or a shadowy hidden legion, but the outright heinous plague they are on society. I got a try-hard metaphor vibe out of this one, something like these things representing the decaying monotony of the proverbial ‘rat race’, and one lone suit and tie renegade who aims to blast the gnawing pet peeve out of the water, like Michael Douglas in Falling Down. Or maybe it’s just a flick about one lone crazy dude who just really doesn’t like rats. Either way, it’s a bizarrely constructed little thing that ducks the limbo bar of genre and darts off in it’s own slightly dysfunctional direction.